Conveying Korean Metalcraft with Kenny Son. 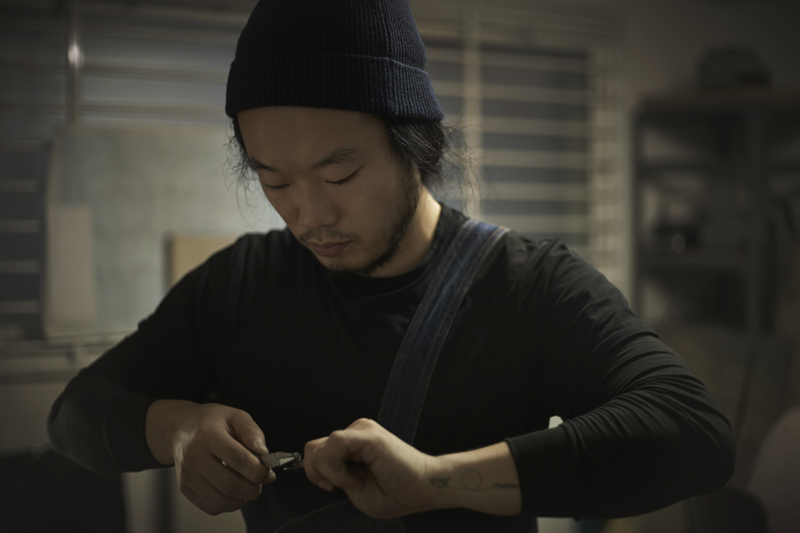 Kenny Son is an emerging designer-maker who has recently completed a six-month mentorship under master metalsmith Sung Joon Cho in Korea, with funding provided by the Australia-Korea Foundation. Kenny participated in the program with the aim of introducing traditional Korean metalsmithing skills to the Australian jewellery community. After graduating from Sydney College of the Arts in 2010 with a Bachelor of Visual Arts (Honours) and completing a Masters in Design at the University of Technology in 2013, he has successfully launched his own object and accessories label, Studiokyss, based in Sydney. Kenny was kind enough to answer some specific questions about his time in Korea as a context for understanding more about his upcoming exhibition at Studio 20/17, Conveying Korean Metalcraft. I interviewed him over Skype from Sydney while Kenny was close to completing his program in Seoul, South Korea. Let’s start by telling me how you came to make jewellery and objects? I imagine it’s been quite a journey. I started at Sydney College of the Arts, majoring in Jewellery and Objects. I started because I just wanted to make. I really liked working with my hands, building things, making things. I started it, I loved it, I still do. I graduated from SCA and took a year off to try different things and see what I wanted to do – from photography to working at the Powerhouse Museum. I realised that I wanted to continue learning but at the same time I wanted to try something different. That’s why I went to UTS, you went to UTS right? Yes, I studied there for one year before I started at SCA. I did it the other way around. I finished up at SCA and wanted to try something different in terms of approach and execution. I went to UTS and did Object and Accessories for my Masters Program. And when did you graduate? I graduated in the middle of last year. I had this idea [the program] that I wanted to do pretty much as soon as I graduated. The beginning of that year I looked into the scholarship provided by the Australian Korea Foundation that looks at building the relationship between Korea and Australia in relation to culture. It’s an Australian government foundation, the primary focus is on the improvement of Australia, benefitting from things that relate to Korea. It has a subject or a topic that the scholarship focuses on each year. Last year it had to do with sport, but I thought what I had planned was different, that I had a case. They thought it was really unique and different. And yeah! Here I am, nearly at the end of the six months, due to go back to Australia. What does your program focus on? Basically, my program focuses on learning traditional Korean metalcraft techniques, and going back to Australia with a range of workshops and an exhibition at Studio 20/17. My progress will be shown as well as my mentor Cho’s lifetime work, who has a lot of years behind him, a lot of work and a lot of experience. Korean metalcraft is something special, so it will be good showcasing that in Australia, to see what Australia is missing in terms of the area. Did you design the program yourself? Yeah, I designed everything, along with a friend of mine, who is a well-known jeweller here. I was speaking to him to see if he had any ideas and he said, ‘Hang on, I’ve got a person in mind, let me talk to him first’. He introduced me to Sung Cho. He was born in 1945 and he’s been a metal craftsman all his life. I got introduced to him and had lots of phone calls with him. He said that he thought this program would be worthwhile and he had something in mind as well and we sort came up with this program. In terms of just general support? Yeah, exactly, and because Cho’s coming to Australia I had to organise everything for him as well. So doing the actual program as well as all the behind the scenes stuff is really difficult. Things like finding accommodation for the short stay [in Seoul]… I’m just like, how did I do it? I think now that I know that I scaled everything a little bit too big for myself to handle in the beginning, but hey, it’s a challenge and it’s what I wanted. What has the experience of the mentor/mentee relationship been like? That’s not something that a lot of people get to experience in Australia. It wasn’t easy. There’s the age difference, he was born in in 1945, I was born in 1987, that’s already forty plus years difference. He’s lived in Korea for seventy odd years and I’ve been away from Korea for twenty odd years so there was that cultural difficulty to start with. But, time fixes that. It was quite special. It’s different learning on a one to one basis. It’s more intimate, more direct. If you do something wrong or make mistakes, there’s someone to go ‘nup’, or ‘do it again’, and let you know what the right way is. It’s a really good way of mastering something. I started the program November 1st, and everyday, except some Saturdays and Sundays, I went from 9 in the morning to five o’clock, or five-thirty, everyday. It means you have a lifetime teacher than you can always go back to if you need. It was really good, really special. It sound like you will to continue having a relationship with him when you’re back in Australia. Can you explain one of the techniques you’ve learnt from Sung Joon Cho? One of the techniques I learnt was ipsa.Simply explained, it is creating a chisel that has a very sharp angle, probably less than 5 degrees, well, much less than that, created out of specialized steel. 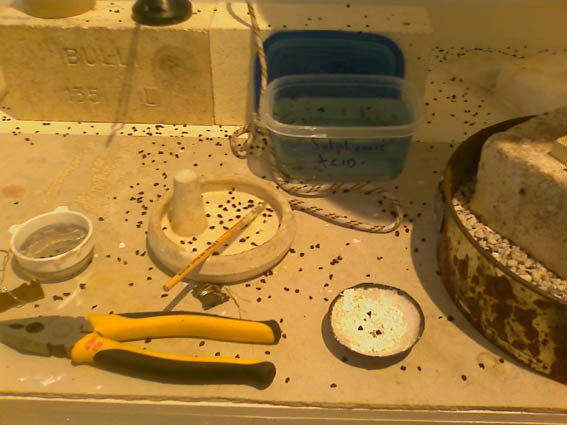 It’s the repetition of the hammering against the chisel onto a steel plate and you are creating hundreds of, how should I put it…marks or indentations, and then putting in really fine silver wire. And you’re hammering it into the indentations that are made with the chisel. The wire has to be about .2 or .18 millimeter thickness. You are creating a series of shapes or images with the wire and hitting those into the indents. What has your experience been of the Korean metalcraft and jewellery community? I can’t compare it to anywhere else around the world, only Australia, so it’s a very personal comparison. My opinion is that the metalcraft scene in the Korean universities are a lot more disciplined. There’s a lot more hours put in. Students stay until say 11pm, sometimes 12am. It’s just hours and hours and hours – that’s what’s expected. In Korea, even after they turn 17, 18, 19, a lot of them still stay home or they have a dorm at school. They get support from the family in terms of school fees. In Western culture, once you are an adult, you move out, you make your own living. And it’s hard with work commitments to find that amount of time. A lot of the teachers or the lecturers have studied either in Japan or Europe, like Germany, Munich so forth. So a lot of the influences are from there in terms of design and skills. And material wise, it’s quite different from Australia. In Australia, there’s a lot of, if I can say [laughs] kind of very strange materials that comes into the metalcraft scene, I shouldn’t even say the metalcraft scene because some of them don’t even end up using metal! That’s what’s so great about the Australian jewellery scene is the freedom to work with so many different materials and techniques. The atmosphere or environment also influences you. Australia has such a good natural [environment], it’s full of trees and beautiful plants and flowers and so forth. Here, it’s very hard to see wildlife because there are so many high-rise buildings, it’s so urbanised. That’s got a lot to do with the work that comes out. You’re recently had a small exhibition in Seoul. What were you exhibiting and what was the response? That exhibition wasn’t planned. It wasn’t part of the program at the beginning. It was held at Gallery Ah-won. Gallery Ah-won specialises in craft, mostly metalcraft. I’ve got to know the owners of Ah-won just through people I know in the industry in Seoul. They’ve been watching over what I’ve been doing. They also have an association with my mentor. They said why not show what you’re doing to the metalcraft scene in Korea as well. Nothing huge, nothing major. It was on for about a week. It was quite special. It was also an event to say goodbye to the people I got to know in Korea and a lot of people who have an association to the Korean metalcraft scene came, lecturers from different universities, current practicing artists and students as well. The exhibition was progress work, trials and experiments. Nothing in the exhibition was finished. It was like a process diary, an archive, of what I’ve done and how I’ve learnt it, the process behind a certain technique. That’s how I displayed it. It was all laid out on three different tables. It was the tools as well, because I had to make all the tools. Cho’s known for that as well. Because he does traditional work, not a lot of tools are available for his work. In Australia the exhibition will be called Conveying Korean Metalcraft but here it was called The Process Diary / Conveying Korean Metalcraft because it was a process diary basically. It was just great, thanks to Gallery Ah-won. How do you think your personal relationship to Korea has changed? Do you see yourself going back to live there? At first it was hard. Some of the things I just didn’t understand, not like ‘what does that mean’. More like why, ‘why would they do that’? In Australia I’m very connected to the Korean community but actually being in the country, experiencing it as a 28 year old, is very different. Life as an adult in Korea is very different because of the history of how the country developed. Korea’s history has effected how people live today. There was a huge Japanese invasion in the early 1900’s and the Korean War in 1950. It’s an amazing country if you think about it. Everything was destroyed because of the war. It redeveloped, re-civilised. Now Korea’s a country with a number one IT area, so many huge companies; Samsung, Hyundai, LG. If you think of that you just go, ‘oh’, you understand why some of the people are really stressed, why some things are different. And that’s why a lot of people put in a lot of hours, like I said before, even the students, tend to put in lots and lots of hours. Because without that you can’t come than far in 56 years. What do you hope to bring back to Australia? I hope to bring back more than what I initially did! It ranges from knowledge, skills and techniques to experience and even including emotions and stuff from over the six months. This program was highly set on skills, techniques and knowledge that are very rare in the Australian metalcraft scene, which could benefit the people in the industry. 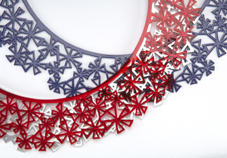 Conveying Korean Metalcraft at contemporary jewellery design gallery, Studio 20/17, will show both your and your mentor’s work? Well, what I’ll be showing is the progress rather than finished work and what Cho will be showing is his lifetime’s work. Ok, so that’s pretty major! How will the your work and Cho’s work fit alongside each other? It will make a lot more sense, seeing my process and his finished work. I think it will be better that way. You are hoping to introduce Korean techniques to Australia – how are you hoping to achieve this? Through the exhibition firstly, and I’m set to have a range of workshops. Firstly at the Jam Factory in Adelaide, Perth JMGA and finishing off the main workshop at SCA which is co-funded by the Korean Cultural Centre in Sydney. I’m doing the workshop in Sydney by the way, and I’m very excited! Will you and Cho be doing the workshop together? Cho will be leading the workshops but I think it makes sense that I work as an assistant and as a translator. How will your time in Korea benefit your future work? Do you think what you’ve learnt in these six months will become part of your work? I think so, definitely, yeah. I think six months, it could be a very short time but at the same time it’s a long time to be apart from your actual life and submerging yourself into a complete program. Everything’s set, everything’s planned, there’s freedom but you know what you’re going to be doing for the next five, six months. It will be a huge part of my future and my work. Not everything [I’ve learnt], I must say, because some things are really traditional and some things…it doesn’t fit into..
Yeah exactly, my personal interests. There will be huge influences or even changes towards what I do, and how I work, and the techniques I’ll be using as well. Did you have opportunities to travel outside Seoul during the program? I got to travel a little bit because I had some time during weekends, to see Korea and get to know Korea – going to Kunsan, it’s the southern coast of Korea. And also Jeju Island, it’s also off the South of Korea. Time and time again, it is the most wonderful place, a really amazing place within this world. I’ve met so many people. Through the program I’ve become friends with a lot of good people, I’ve made a lot of connections and friends. Some of them will be great friends after I leave this country and because a lot of them are in the metalcraft scene, I’m sure we’ll be contacting each other if we need help with anything, on a personal level, and workwise as well. That’s quite special. Lots of good food as well. I have a lot of Korean food back home as well but still it’s different. Definitely, food, lots of…I don’t know if I should say this but lots of drinking as well! Drinking culture here is huge. So you’ve had fun as well as working really, really hard? I guess so! Towards the end it was more working, working but yeah. How are you feeling now you are at the end of your program? I’m quite excited, a little bit scared, but quite excited. Conveying Korean Metalcraft will show at Studio 20/17 from the 14 to 28 June. Join the artist for drinks at the opening on Saturday 14June 4-6pm. Just who was that man? Call me! An open invitation to the ‘gentleman’ who was responsible for the unleashed dog that ran through my artwork on exhibit at The Coal Loader Centre for Sustainability as part of the North Sydney Art Prize and then insulted me by giving me $10 towards the costs of damages. When I received the news that I had been selected for the North Sydney Art Prize I was ecstatic. As an artist, we invest heavily in our time and own financial resources to create work for both ourselves and the wider general public, to hopefully extend the experience of their world, create beauty, get people thinking and to create a sense of something beyond the economic rationalist view point that seems to have somehow dominated our society. I was even more excited to find out that I had received the Encouragement Award. All too often an artist life is an uphill battle. Unfortunately my experience during the first two days that the exhibition has been open to the general public has left me far from encouraged. This is the third installation of this artwork but it is the first time I have observed it being treated with such an incredible lack of mindfulness and respect. While the installation is slightly problematic in that it is a floor piece and there are a number of works in the room, it is not so problematic that anyone knowingly walking into a space to view artworks as part of the North Sydney Art Prize would not be able to navigate the space in a respectful and mindful way. While minding the space as a volunteer (of course, artists are not expected to get paid for their time) I have seen adults walk over the work, damaging elements with no acknowledgement of their action or apology. This has also applied to the parents of the numerous children who have run, walked or fallen onto the piece. Parents please hold on to your children’s hands if they are not familiar with appreciating art. The last straw for me was Sunday when a gentleman allowed a dog, unleashed and in his care to run frantically across the work, scattering the elements widely and destroying many. I took yet another deep breath and remained calm, as accidents happen. People are careless without even realising it. It is an offence to have a dog unleashed in a public space. North Sydney Council officers, where were you to offer him his on the spot fine? I invited the ‘gentleman’ to help me repair the damage that his dog had created (actually not his, he was minding it for his daughter, and agreed that it was out of control…”so why not leash the beast I thought to myself”). He seemed a man educated in the arts, discussed the similarities that he thought my work had with a work displayed in the new Kaldor Wing at the AGNSW……I made light conversation while taking deep breaths to remain calm…in an attempt to keep him from ‘feeling bad’ about the damage that had been done to my artwork……and then, when it was ‘fixed’ to a level that seemed suitable, he offered, hastily, a $10 note towards the damage that had occurred and quickly disappeared. I was stunned. Still in a state of shock from what had happened, I took the note but felt deeply insulted. My work takes a minimum of 18 man hours to install. The elements were made over an intense period of 21 consecutive days working 15-17 hours each day. There are 10,000 elements in the piece. I realise that the Visual Arts is increasingly undervalued and continues to be de-funded but the disregard shown by that $10 left me speechless. If not for the tireless commitment, and financial investment of the participating artists to their practice, the works in this exhibition would not exist for the public to enjoy. So I invite the ‘gentleman’ to the opportunity of a lifetime, to experience what it is like to be an artist. To, in effect, recreate the commitment and effort it took to create my artwork that was then made available for him and others to enjoy; so that he can be educated in the life of an artist. He will have the opportunity to create his own artwork, learn new skills, experience dedication, persistence and focus. I offer to take the time out of my life, to make him a commitment over all my other commitments (as a mother, wife, business partner, gallery director, student and artist), to make his experience my primary motivation, to take him on a journey that will open his heart and his mind to the joy (and heartache) of creativity and to the focus required to create an artwork like this. All he needs to do is commit, as I did, to 17 hour days for 21 consecutive days. I will even provide him with a gallery exhibition space to exhibit the resulting work in where he can celebrate his creation with friends, family and colleagues. I will also commit to giving him $10 to compensate for his efforts in the event that his work is damaged by persons showing a lack of respect for his creation. Bridget is a contemporary jewellery artist and a director of Studio 20/17 (studio2017.com.au). Her works are respectfully exhibited within the galleries at 2 Danks Street in Waterloo (2danksstreet.com.au) and elsewhere. 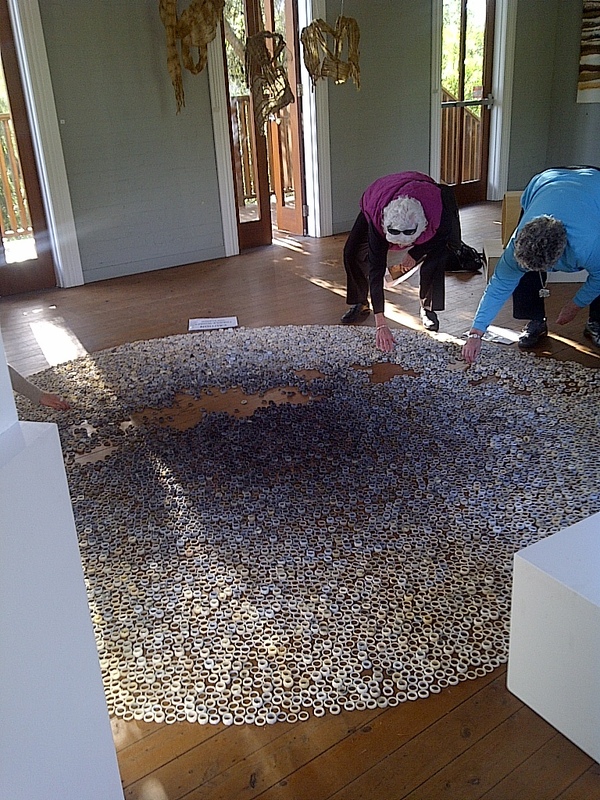 Her floor installation “just help yourself why don’tcha” is on exhibition at the Coal Loader as part of the North Sydney Art Prize until Monday 5th August 2013. 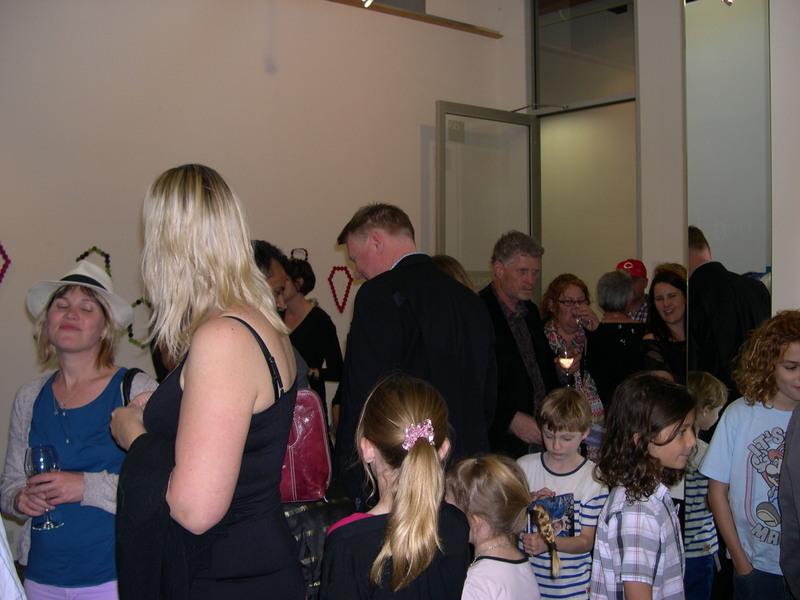 Woah, what a fantastic turnout we had at the ‘MotherCraft’ Opening last Saturday the 8th! Our festive guests relished the delights on display while mingling with the artists (Effie Milos & Melissa Turner) and nibbling home made quiche! We would like to thank everyone who came along, for a thoroughly enjoyable evening! 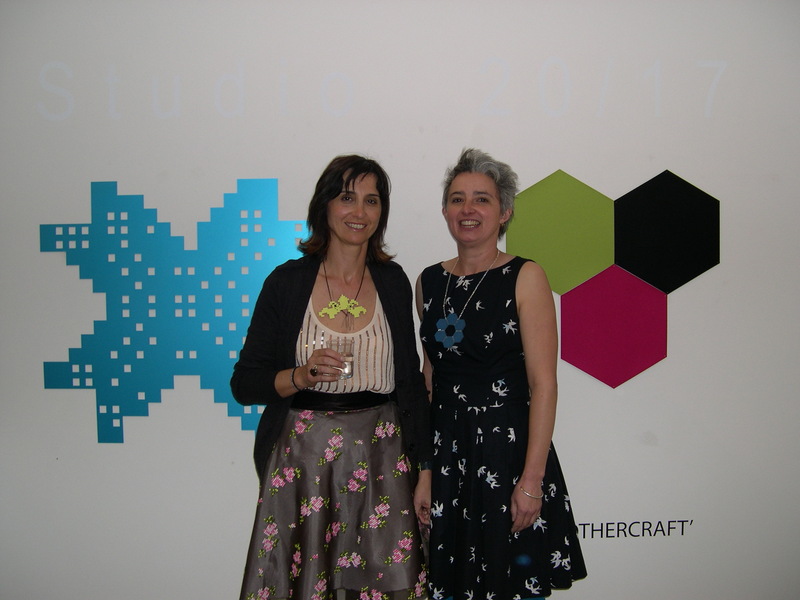 Remember, ‘MotherCraft’ will be on display until Saturday the 15th. 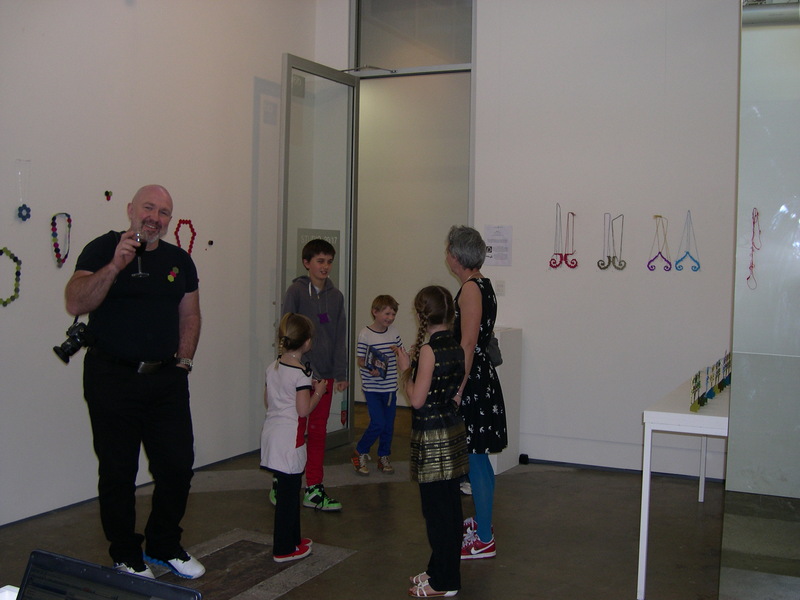 Thank you to everyone who came along to the opening of Sheridan Kennedy’s ‘O Tremblant’ last Saturday ! Kennedy’s wonderfully alive, attention seeking jewels were widely enjoyed! If you are yet to experience ‘O Tremblant’, make sure to pop on in before Saturday the 1st of September. An exciting event not to be missed !!! The evening coincides with our Felicity Peters exhibition and the Studio 20/17 canape has been inspired by some of the works in the exhibition !!! 2011 marks a decade since 2 Danks Street opened as a space to celebrate great contemporary art and wonderful food. Join the Festival by attending a roving cocktail party specially created by Jared Ingersoll. Pick up your passport at the door and wander from room to room for a walking canapé degustation inspired by the exhibition in each gallery. Aboriginal and Pacific Art, Annette Larkin Fine Art, Brenda May Gallery, Dominik Mersch Gallery, Stella Downer Fine Art, Studio 20/17, Syndicate, Utopia Art Sydney and Wilson Street Gallery. can’t believe it’s February already! 2010 is looking great. Lots of things happening here at 2 Danks. We have ART MONTH coming up in MARCH! Brenda may Gallery will be hosting a film night on Thursday 18th March and all the galleries will be opening late. There will also be another Danks St conversation evening taking place on Wednesday 17th March…..in the mean time…..here at the studio we’re planning for 2011 already. We’re now calling for submissions for our 2011 Exhibition Program. We’d love to hear from artists, and curators working in the area of contemporary jewellery, object and small scale scultpure. Please contact the gallery for proposal guidelines – our details can be found at www.studio2017.com.au. Thanks for all the submissions to our Christmas showcase! Mel and I have been busy looking through all the wonderful submissions of georgous work! We were initially worried that we may not have many…and then, in the last 48 hours, phew…..well let’s say, it’s interesting to see how people timetable their lives. Me, I’m not a last minute girl- it’d stress me out too much – I need to know I have some breathing space in case it all turns pear shaped. Other people thrive on the last minute dash. Mel, well she tends to give herself a lot more thinking time, and then gets it all done with minutes to spare….Anyway, as the submission date came to a close, we had a few hard decisions to make, as there was only so much work we could squeeze into our intimate space! A big thank you to everyone who took the time to submit an application. Mel and I are sure there will be other opportunities for exhibitions at the space in the future. We’ve accepted a total of 17 artists (from Sydney, Japan and Melbourne) and when I have a bit more time, I’ll put up some more info and some images. The next big event for our little studio, is the Danks St Festival. We’re busy working out how we’re going to make the best opportunity from the estimated 25,000 people that are supposed to come through the complex on Sunday 25th October. It sounds like a great (if possibly exhausting) day! Mel has been working hard since she came back from her trip. She has a some beautiful new designs in the studio and we are getting more people through the space…it’s funny….sometimes it’s just so quiet and we wonder where everyone has gone and whether we will ever hear footsteps coming down the hall again (all you can hear is the sound of emery paper and rhythmic sawing)….the great thing about the space, is that during the quiet times we can make, make, make…..and chat, chat, chat……AND THEN we’ll have a day where someone will just walk in and purchase a few pieces all at once, or a complete series of work, or a wall piece…and it all seems a bit surreal….so up and down…. There just doesn’t seem to be any pattern to it….the weather doesn’t seem to make a difference that we can see, and occasionally we’ve put our little kiddy chalkboard out at the end of the corridor (kindly leant to us by one of the other gallery owners) and maybe that makes a difference, it’s hard to tell…….while travelling to work each day, there is that little sense of anticipation and excitement of what might unfold during the coming day at the studio…. Mel and I are getting organised for our Christmas showcase month…So, we are calling for expressions of interest from practitioners. Due date is 12th September 2008 and selected artists will be informed by 16th September. Please send us an email and we can forward more details. See below for exciting pieces Bridget is working on for the Winter brooch exhibition. 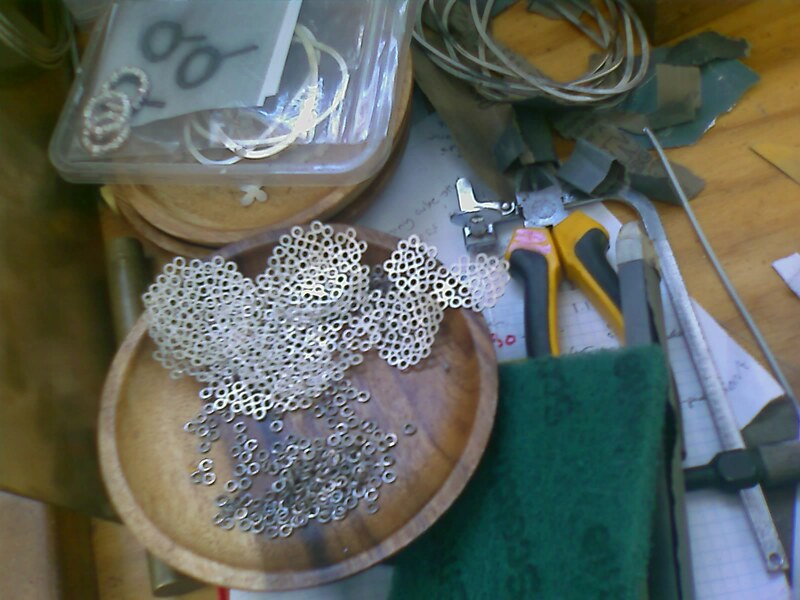 Note the little jump rings, each one soldered to create her beautiful works. Note her messy work bench in the background! The ventilation switch was flicked!!! A few minor adjustments are needed to keep the carbon contained ! BK’s off to Japan!!! Poor Mel, I wish I could pack her in my suitcase. I booked the flight today. Am looking forward to Tokyo and discovering all the art galleries and visiting Deux Poisson Gallery. Was at an artist friends place for a bbq on the weekend and Daniel Goettin was there (he currently has a wonderful show on at Connie Dietzschold Gallery)…turns out he is a big fan of Tokyo, so I have a very long scrawled list of places to see, things to eat, and trains to catch (happy for more ideas from anyone out there)……am very excited, but before that we have our BIG LAUNCH of Studio 20/17 —– lots to do!! Mel and I discovered the difference between normal glass (green tinge) and Star Fire Glass today (much clearer and more expensive)….we now have to decided which one to get to put in our drawer units that we’re having made for the gallery space (do we want all the work to have a slight green tinge? Will anyone really notice? )……….fingers crossed they’ll be ready before the Launch and Emma’s opening! We realise we’re in a fabulous location and that there are lots of wonderfully creative artist/designer/makers out there….so we’d like to offer our space for exhibition of your gorgeous and adventurous work………we’re putting out a CALL FOR SUBMISSIONS for exhibitions of work for a few exhibitions each year (we’re still nutting out how many we can deal with…argh, the admin!!! – we want to make our own work too)!! The people that wander in and out of the Danks St Arts Complex are an interesting and fascinating bunch, either interested in the arts, artists, or involved in the arts in some other way. Whilst we realise our space is a small one, it’s a wonderful opportunity to showcase your work to this audience. So, for anyone interested , please drop us an email at studio2017(at)optusnet.com.au, and a couple of images of your work you and we’ll send you out some info…. Okay, so maybe it wasn’t the best plan to have organised a trip to the Philippines to visit the inlaws only 6 weeks after we moved into the studio but Mel’s been doing a fantastic job keeping on top of everything while I’ve been eating lots of home cooked meals at the house of Lola Flora in Sagada, Mountain Province. We’ve celebrated her 95th Birthday, spent time with all the cousins and extended family (many had travelled from the USA to participate in the Birthday party), jogged up & down a mountain in an 8km fun run, gone for hikes, wandered around rice terraces & had a few relaxing San Miguels in a local taverna. I’ve collected some seeds from the Bistacao plant and Grandma Flora gave me an old, broken belt that she had made from seeds. This is going to be used as material in a series of work based on my visits to the area. Sagada is located high up in the mountains north of Bagiou (it was an 8 hour bus trip from Manila to Bagiou). After a one night stopover in Bagiou, we caught another bus up the winding, rocky, road to Sagada. The trip has shortened since 2001. When I first visited it took 7.5 hours, but with continual work on the road (paving and building of retaining walls to minimise landslides and erosion..the trip can be a bit nerve wracking) it takes about 5.5 hours…..this is to travel all of 120km! After being caught up in the distractions of admin around the setup of the space…things like installing a phone line (phew -that was a trial and a half), merchant facilities, bank accounts, machinery setup and location, sourcing of a fridge (to store the milk for our daily expresso coffee), creation of a press release (thank you Tara! – and also for your help with setting up this blog! ), design of studio card, design of display units, contracts for exhibitions by invited artists, insurance, door signs, wall signs, lighting, fixing up the door, working out where the garbage bins are (and ladders and air con switches and, and, and!) and having our alarm system installed, we’re almost there and itching to get back to the bench to get stuck into creating some work! We’ll be updating you with photos as we go.